We are a growing Digital Marketing company in Noida established in 2016, providing fully integrated online marketing services.Our Offer services are Web designing, web development, App and Plugin development too, search engine optimization (SEO), Social Media Optimization (SMO), Search Engine Marketing, exhibiting an end to end solution to market your brand online in the most effective way.  Content Stellar conducts classes in Content Writing, Digital Marketing Training and Internet & Email. It is located in Noida Industrial Area, Noida. It takes Regular Classes- at the Institute.